Global re/ insurance business has an opening for a senior pricing actuary. Reporting into the Chief Data Analytics Officer you will work in a global role working across global teams to enhance the decision making and efficiency surrounding pricing decisions. You will be responsible for helping to design & deliver robust insights and tools that help the company write better business, settle claims for less, increase efficiency & enhance their customers' experience. You will use cutting edge tools and analytical techniques to mine data, select features, build & optimise predictive models & develop insightful visualisations. You will be operating in a high performance multidisciplinary agile team who delight in the impact they make and have fun doing it. Ideally you will have experience of building predictive models, including machine learning and ideally deep learning, to yield new & robust insight & calibrate relationships. You will be a proficient developer using R or Python as well as SQL and be an effective user of data visualisation including proficiency in one of Tableau and Power BI or similar. 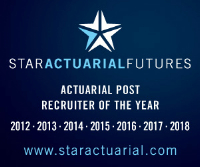 You will have significant actuarial pricing experience in multiple commercial/London market insurance &/or reinsurance classes.